Recently, I took a taxi in LA with some friends because it was readily available instead of waiting six minutes for an Uber driver to show up. In the end, waiting that six minutes would’ve saved us money and given us a better ride. When I first heard about Uber, I wasn’t exactly fond of the idea of strangers taking me somewhere and trusting their driving skills to get me to my destination. In the grand scheme of things though, it’s actually just another form of a taxicab, and a lot cheaper. When you get a taxi, you hop in the car with a stranger just like when you take an Uber, but Uber drivers seem to be more personable. All of my Uber experiences have been excellent. I have taken an Uber in Oakland, Los Angeles, Santa Barbara, and here in Bakersfield. Compared to taxi drivers, Uber drivers usually have some sort complementary beverages or snacks, which is not mandatory for them to have but sure is a nice icing on the cake. Many do this for the mere fact that they hope it gets them a better rating on the app. If you offer me drink and a snack and all I was expecting was a ride, then a good rating is what you get. They can also rate you as well, so be sure to not piss off your Uber driver. The rating system is there for drivers to see, so if your rating is bad, it may take a little longer for a driver to choose to pick you up. There is also just something about Uber drivers that is more comforting than your basic cab driver. My experiences between taking taxicabs and Ubers greatly differ from one another. Most taxicab drivers are doing it as a full time job, while most of the Uber drivers I have talked to are doing it for extra cash in their pocket at the end of the day. To me the people who are doing it for the extra money seem to be a lot more friendly and open to conversation while they chauffeur me, which for me makes the experience a better one. 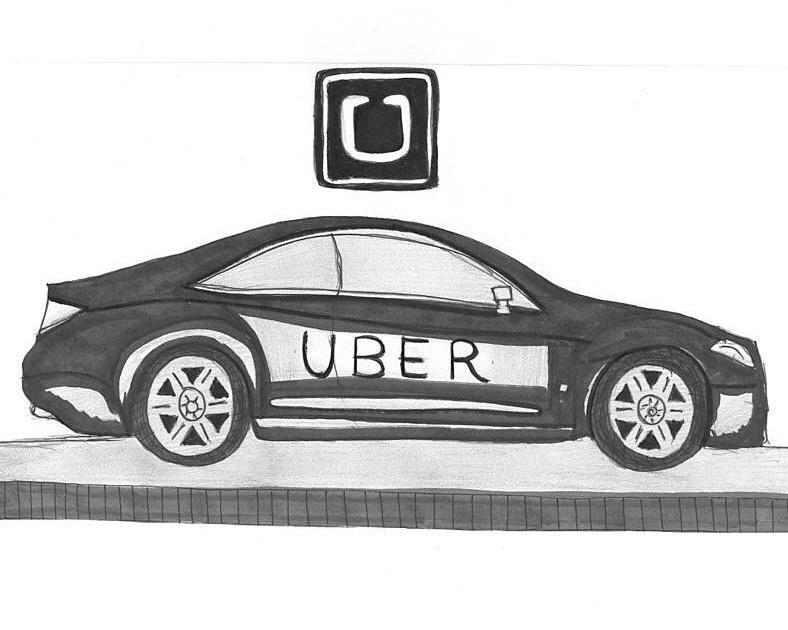 Many people may be turned off by the idea of Uber because it’s just normal people using their own cars to taxi people around cities and towns, but Uber drivers are held to standards, rules, and expectations. Uber drivers must be at least 21 years of age, acquire a commercial drivers’ license, Uber approved auto insurance, and a car that is 10 years old or newer, but this varies depending on the city. Uber drivers are also required to pass a vehicle inspection to make sure everything is safe for transporting people around, and last but not least, the driver must pass a background check. If you ask me, Uber is a great alternative to your everyday taxi. Maybe you’ll have a good conversation and something to snack on your way to your destination while saving a little money and for some, even saving you from a DUI.